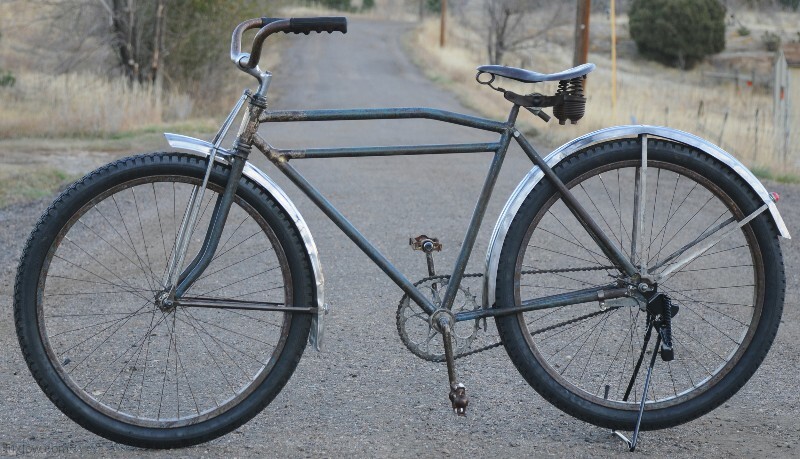 This Bad Ol Rat Rod is a Colson Ballooner Motorbike Bicycle from 1934, the Beginning of the Fat Tire Bicycle era. 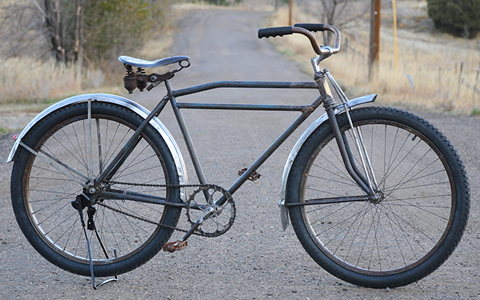 The Colson Bicycle has a deep heritage, making High Grade bicycles with Quality Construction and Amazing Designs. 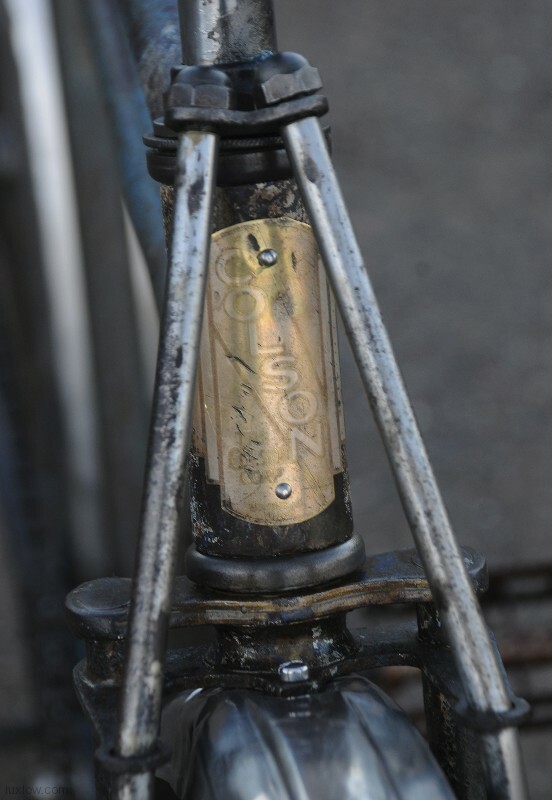 Colson Bicycles are Top Quality and Rival Close Schwinn’s Superior Quality of Bicycles. 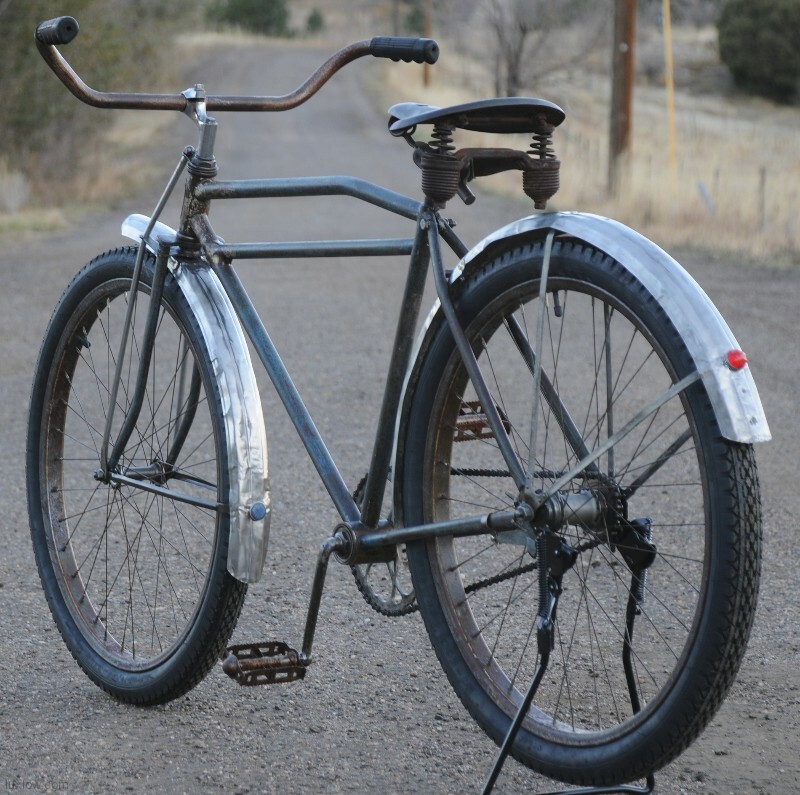 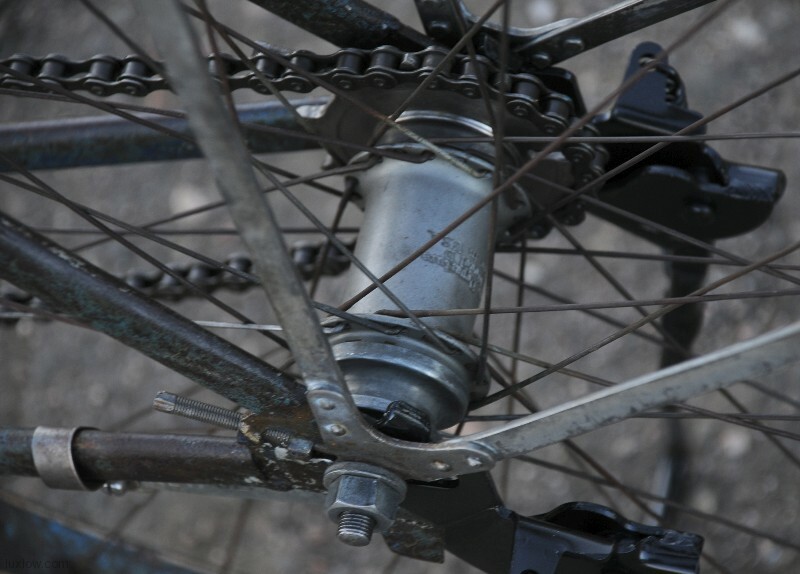 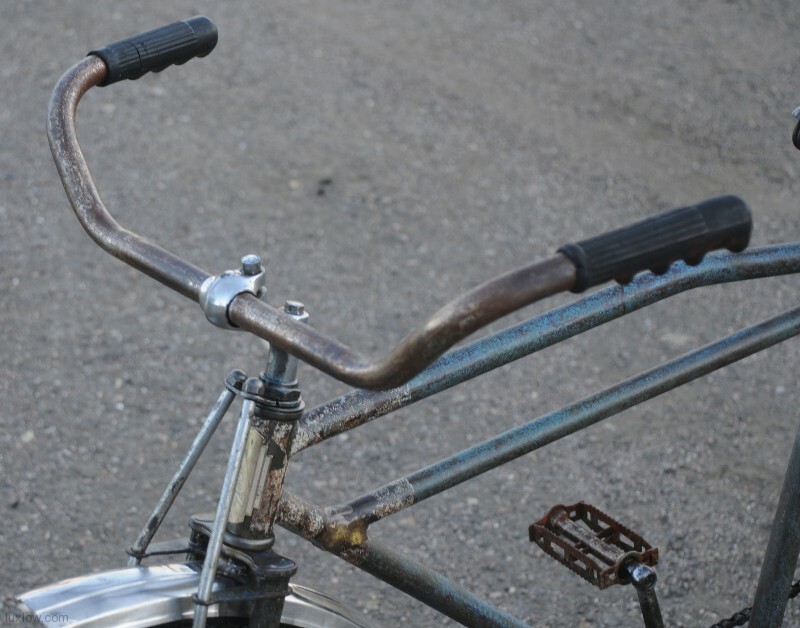 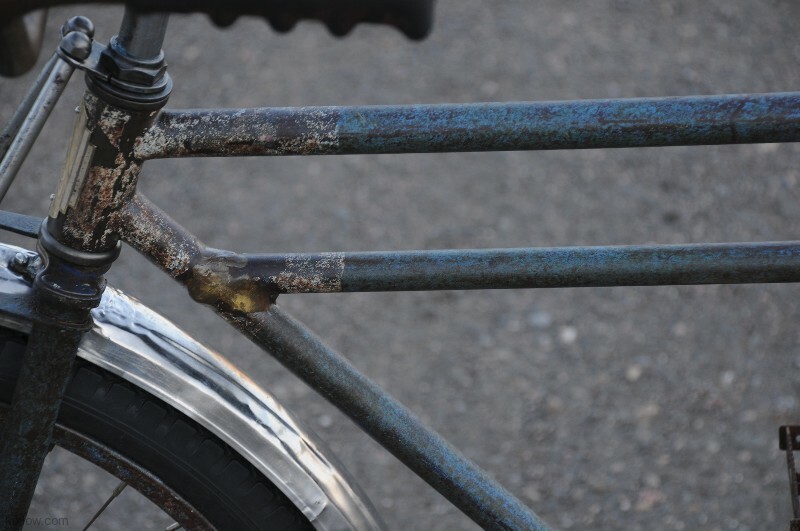 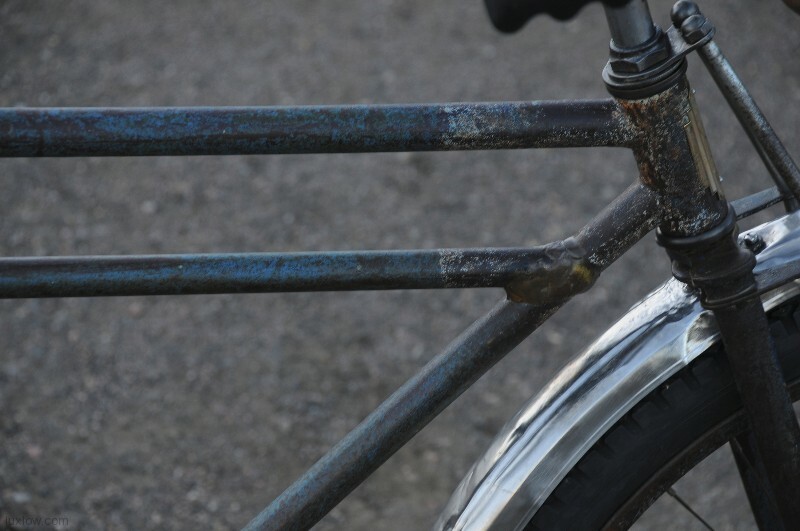 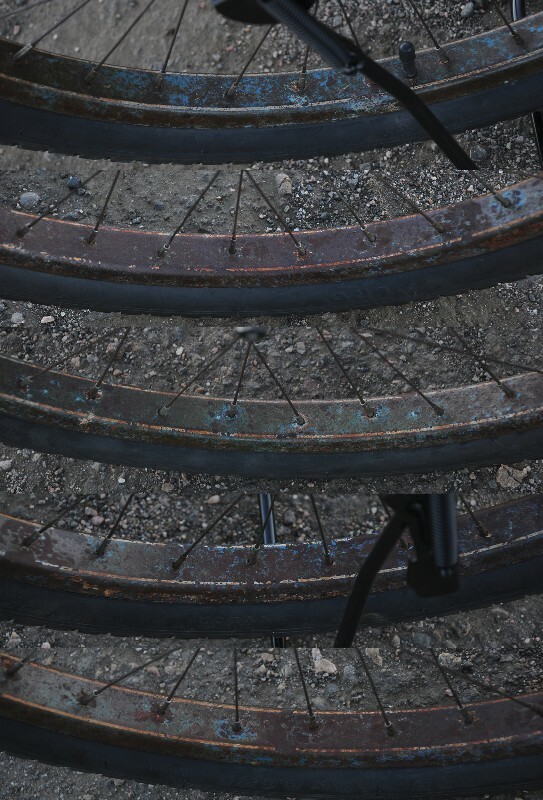 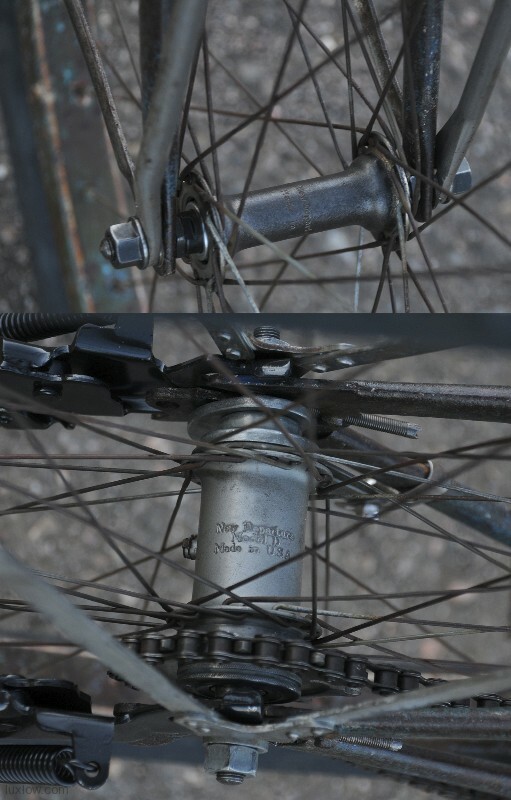 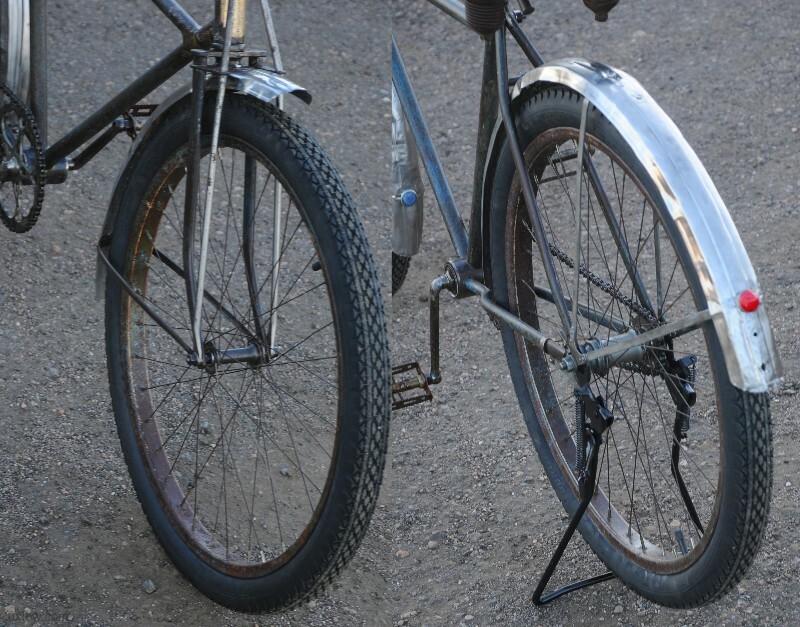 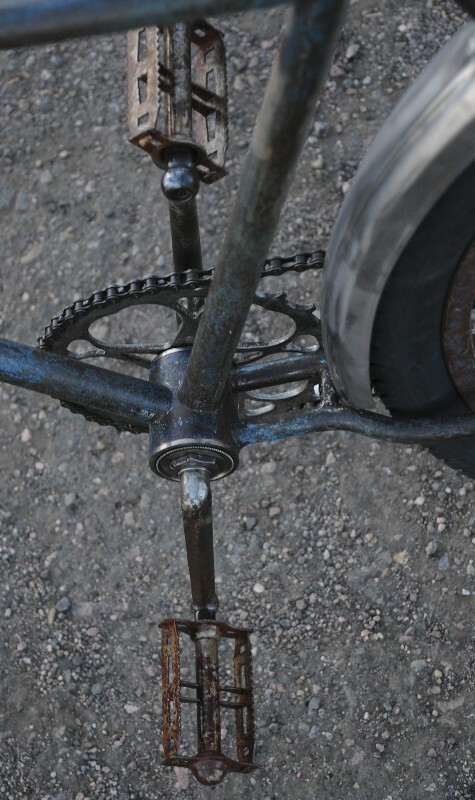 Bike has Great Patina adorned with Truss Rods, Stainless Steel Fenders, Skiptooth Drive, and 26″ Ballooner Wheels. 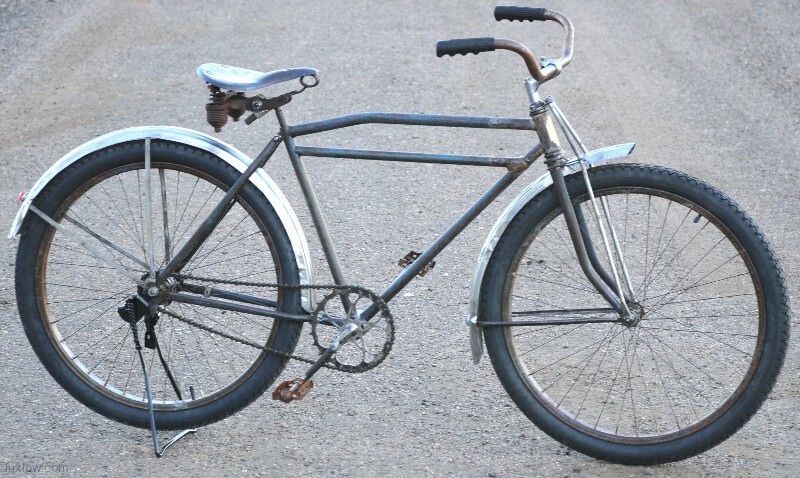 She’s seen Lots of use but has been resuscitated with a a full rebuild and ready for action with much Patina and Rat Rod Style. 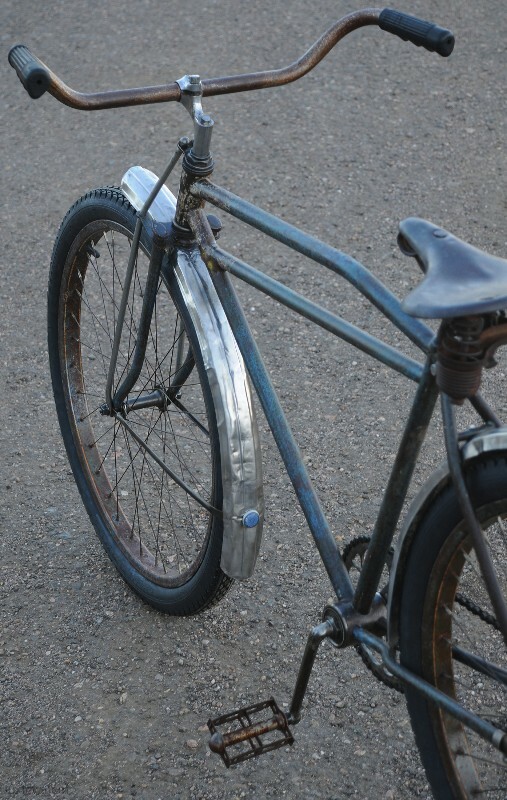 This 1934 Colson Ballooner Motorbike is Lux Low Patina Rat Rod restored with original parts. 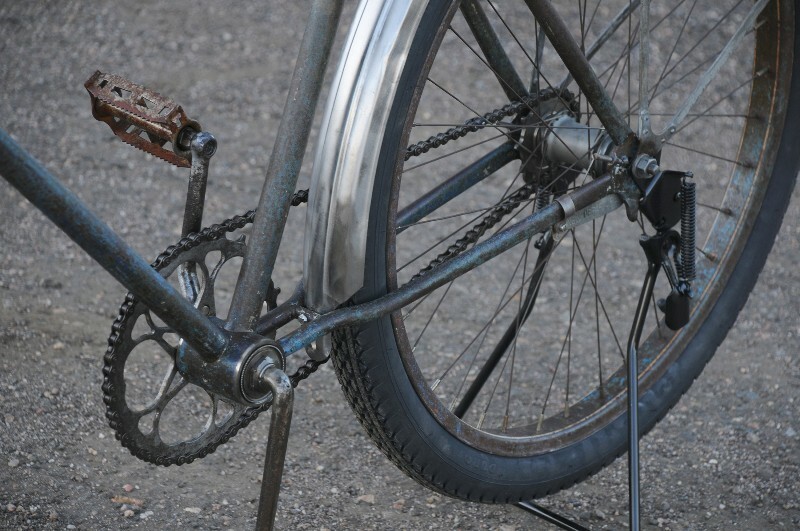 After a Mechanical Resuscitation she looks bad and rides smooth. 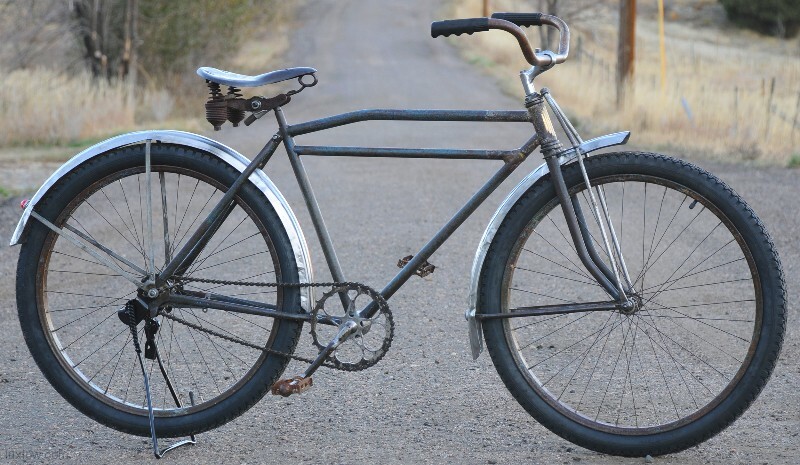 This is a Full size mens bike ( although these style frames are short ) The Bike has Patina Rebuilt Ballooner Wheels with New Departure model W front hub and a rear New D Model D Coaster Brake Hub and new Goodyear pattern 26″x2.125″ Fat Tire Blackwall tires. 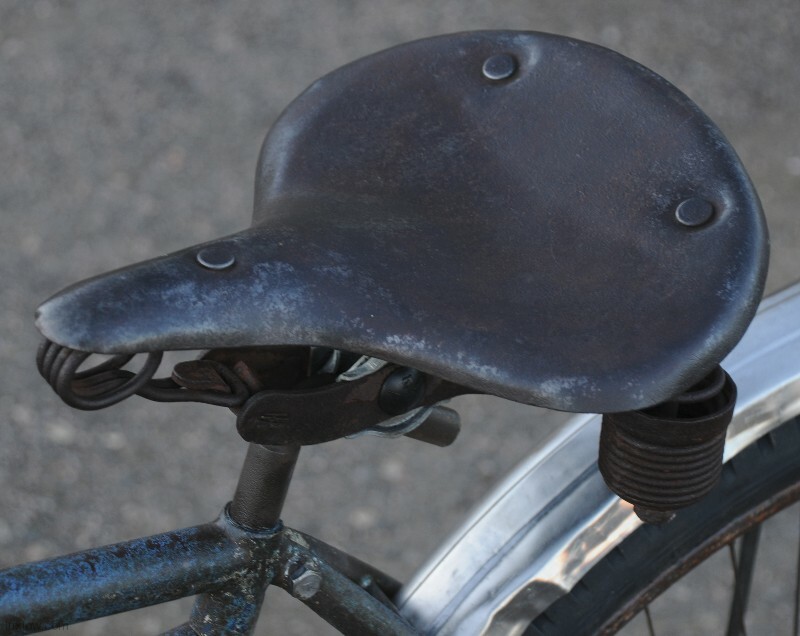 The Seat is a Vintage Metal pan Troxel Saddle. 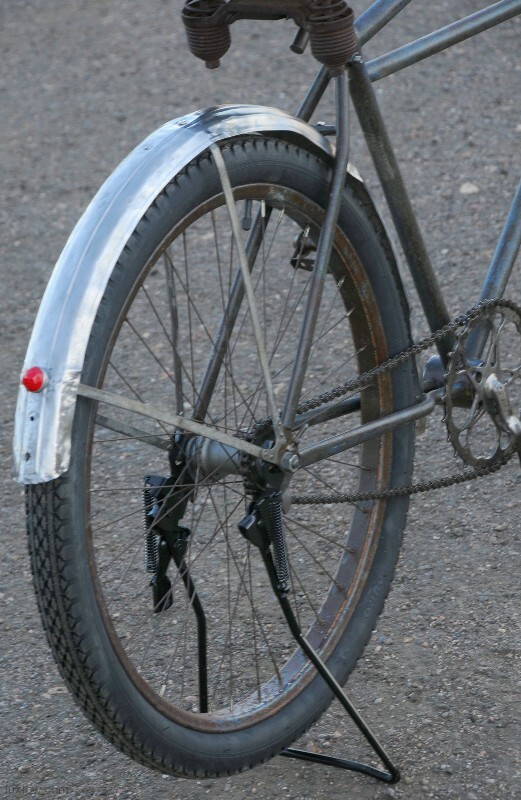 The Bike has Truss Rods, Stainless Steel Fenders, and Skiptooth Chain. 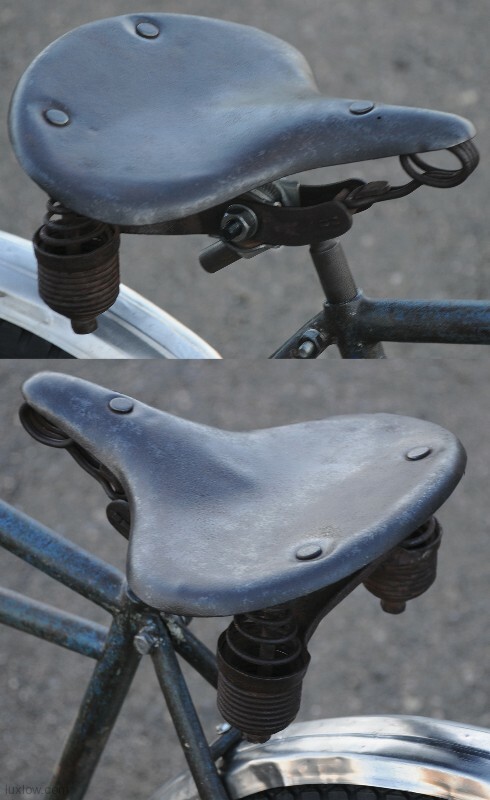 The Drop Stand is New Reproduction. 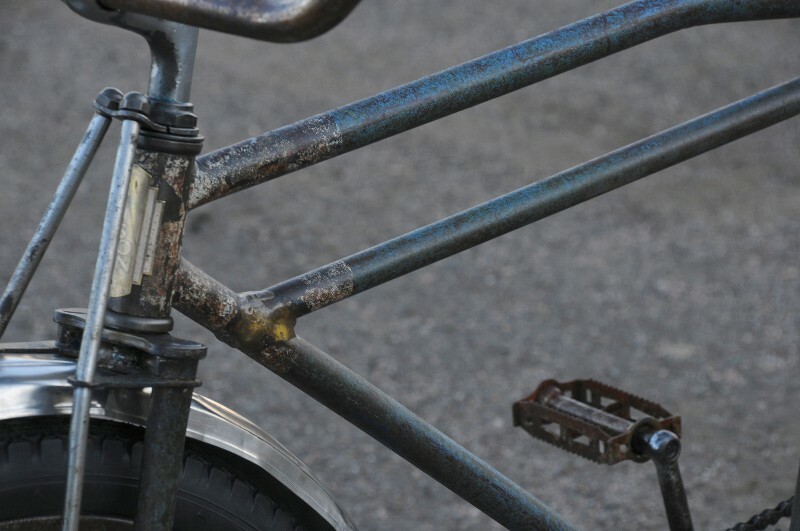 She a Bad Ride that will definitely turn heads when you roll by. 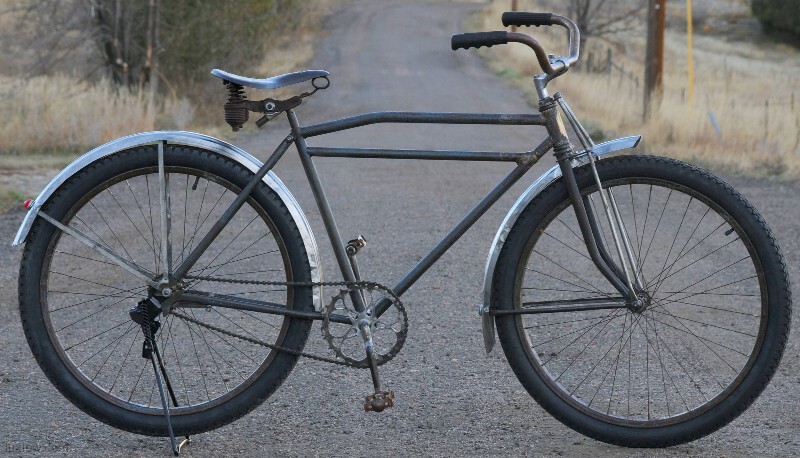 Non Local Sales: You will be billed through Paypal and Shipping is: $175 for this bike to most of the US.